Brandon Routh soared into the media limelight when cast as “The Man of Steel” in director Bryan Singer’s highly anticipated revival of the original superhero film franchise Superman Returns. 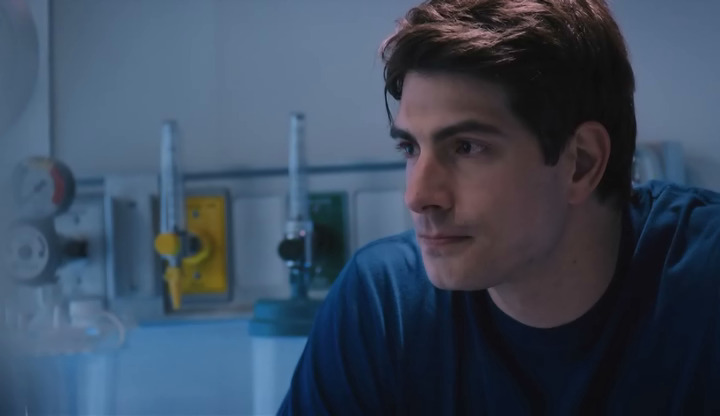 After joining the CW series Arrow as DC Comics superhero The Atom, Brandon will next spin off the character into the upcoming series Legends of Tomorrow, also for the CW. In 2013, Routh voiced David “Hesh” Walker in the video game Call of Duty: Ghosts and appeared in the CBS comedy series Partners, from the creators of Will & Grace. Also in 2012, Brandon starred in Crooked Arrows, as the coach of a Native American lacrosse team playing in a prep school league tournament. 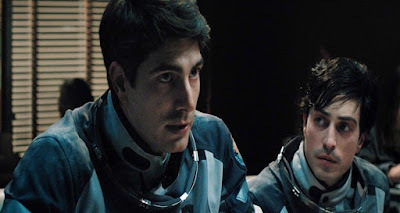 In the new sci-thriller film “400 Days,” Routh plays Theo, one of four astronauts (with Dane Cook, Ben Feldman and Lotz) who are on a simulated space mission, kept underground, to explore the effects of being isolated for a long period of time. What drew you to “400 Days”? I had never really done a sci-fi thriller or a thriller of any sort, and I was kind of intrigued by the process. I’m not a huge fan of scary movies, horror movies, but I do like thrillers. I also like the whole idea, the concept of space simulation. And I’d never done astronaut stuff either. How would you do if you had to be sequestered away? I’d like to think that I’d do OK. Now, with a 3-year-old son, maybe not so well, just because I’d be very worried about him not seeing me. ... That would definitely make a journey like that much more challenging. But prior to having a kid, I’d like to think that I had the mental fortitude to do it, and I like those challenges. I don’t know — a lot of it would depend on the people that you’re with, too. It would make a big difference about how your time goes, the people that you’re trapped with. This is writer/director Matt Osterman’s second film. How was it working with him? Matt is great, very passionate about his projects. He’s the writer/director, he came up with this concept and he really has a lot of passion he brought to the set, always coming up with new ideas. [He] was very collaborative working with all of us, because there are a lot of what might be red herrings in the movie and he had to explain all them to us sometimes because it’s such a head trip. There are things happening that I didn’t even realize. ... And sometimes you don’t get it until you see the finished product. The film looks great and he had a great ability to communicate with the all cast and crew. And we’re both from the Midwest. He’s from Minnesota, I’m from Iowa. It was awesome to have a Midwest teamup. You co-star with Dane Cook. How do you think he did in a more dramatic role? It was the first time I’d met Dane and didn’t know what to expect. He’s a very nice guy, very down to earth. His stage presence is definitely more of a persona he puts on. He’s certainly funny in person, but maybe because he doesn’t want to be the guy cracking jokes all the time. But, he certainly is very witty and very collaborative. He’s a producer on the film, and he helped to make the world the way that it is, very welcoming to me and we had a good time. And I think he did really great job, had a nice, grounded performance. We have a couple heated moments in the movie where our characters get upset with each other, and it was great. He did a fantastic job. I think he has great ability and will continue to do more, I hope. 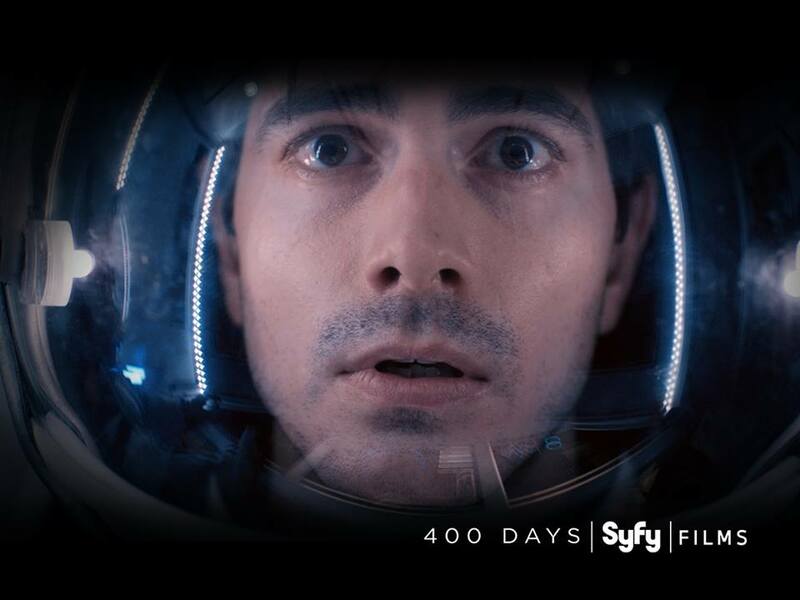 “400 Days” is released and distributed by CAPTIVE CINEMA. SHOWING ON FEBRUARY 3. NATIONWIDE!